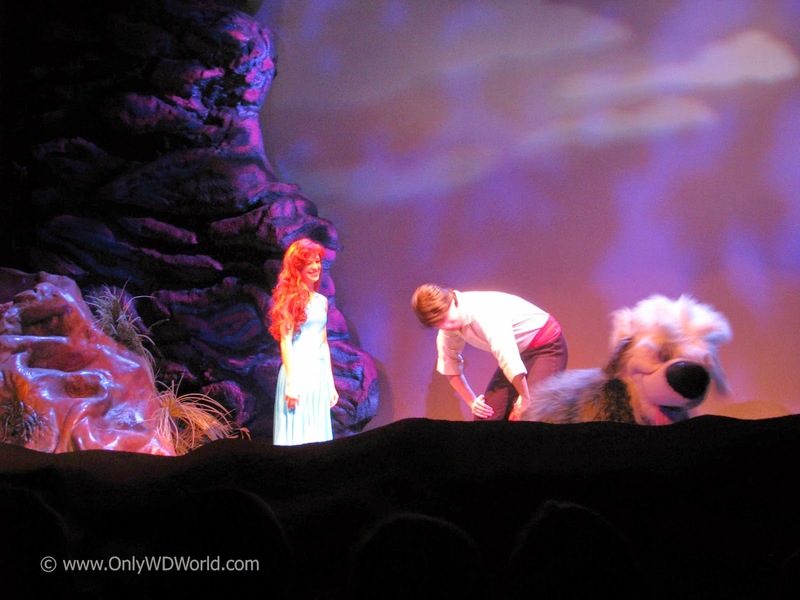 Disney World is special because of its storytelling. 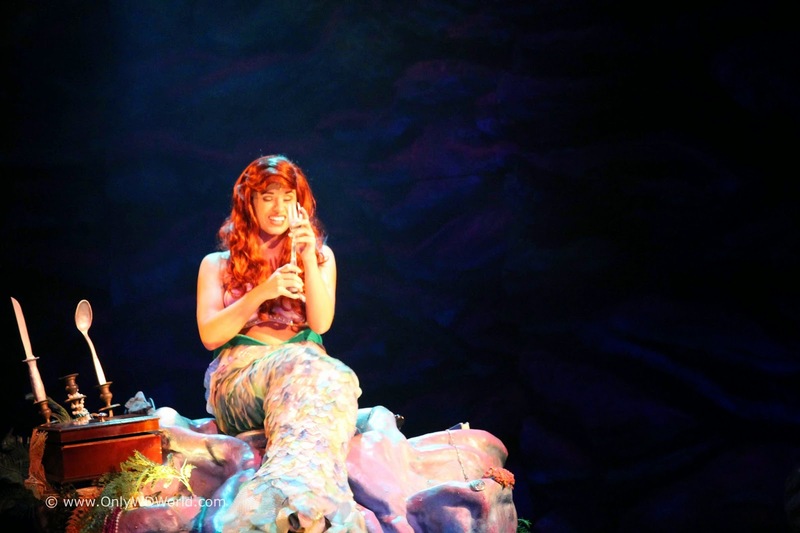 One of the best examples can be found at Disney's Hollywood Studios in the Voyage Of The Little Mermaid. 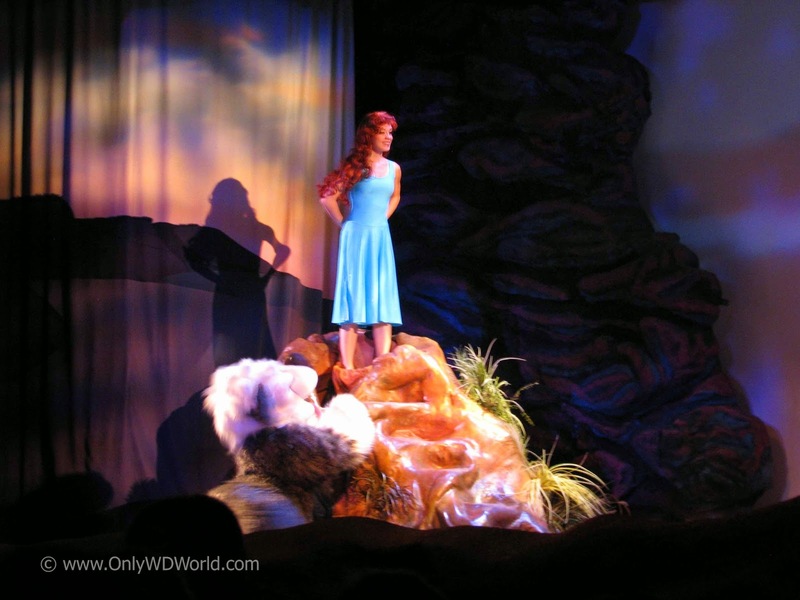 Here you will find a magical retelling of this classic Disney Animated Film that should be on your Must Do Disney Vacation List! 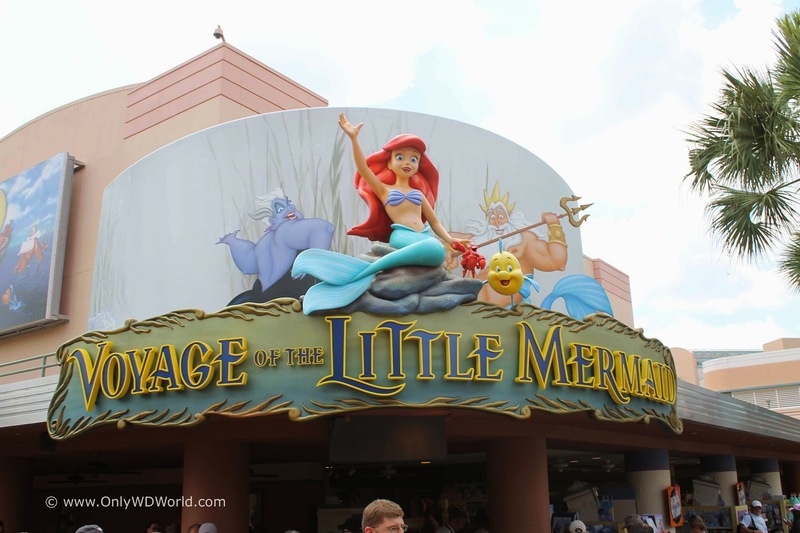 Since 1992 the Voyage Of The Little Mermaid has been delighting crowds at Disney's Hollywood Studios (known as MGM Studios back then). 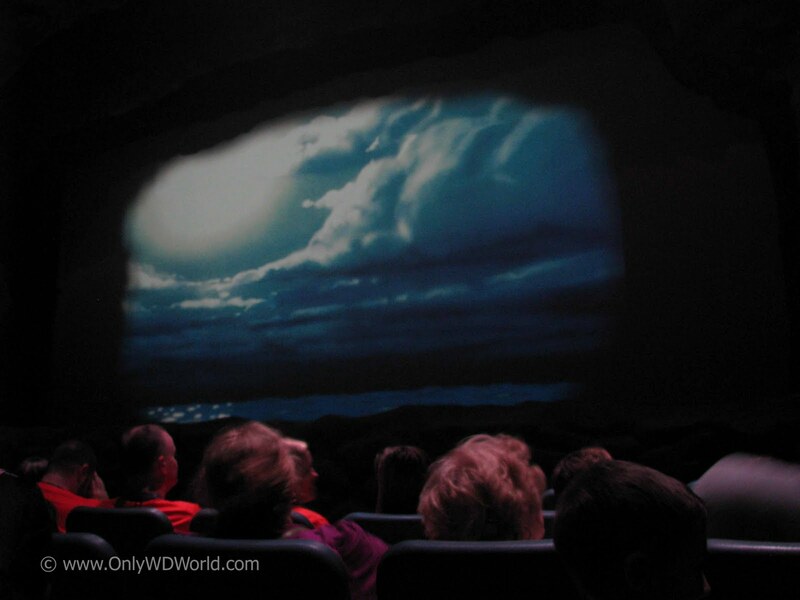 In a specially designed theater, this show gives Disney World guests a condensed retelling of the movie using black light puppets, lasers, animated film, audio animatronic creatures, and live action singing and acting. The theater itself places the audience in an undersea environment, ready to explore the world of aquatic life and mermaids. 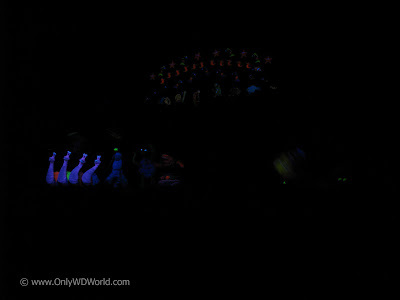 They use lasers, mist, wind and water effects to really bring the audience into the action of the show. 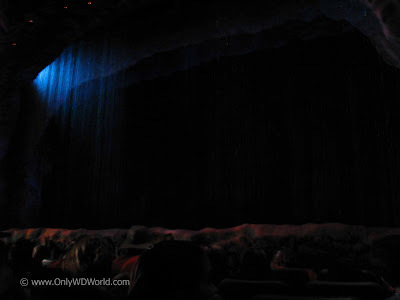 Disney World Fact: Believe it or not you will get wet during this indoor, theater based attraction! The black light puppetry is amazing. 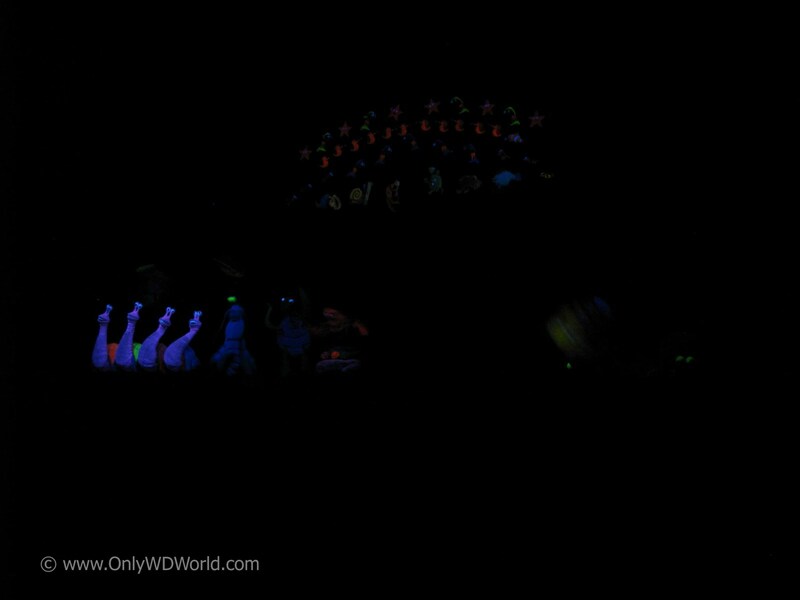 There are nearly 100 puppets that are used during the show, setting the stage for the action of the animated film that the show is based upon. 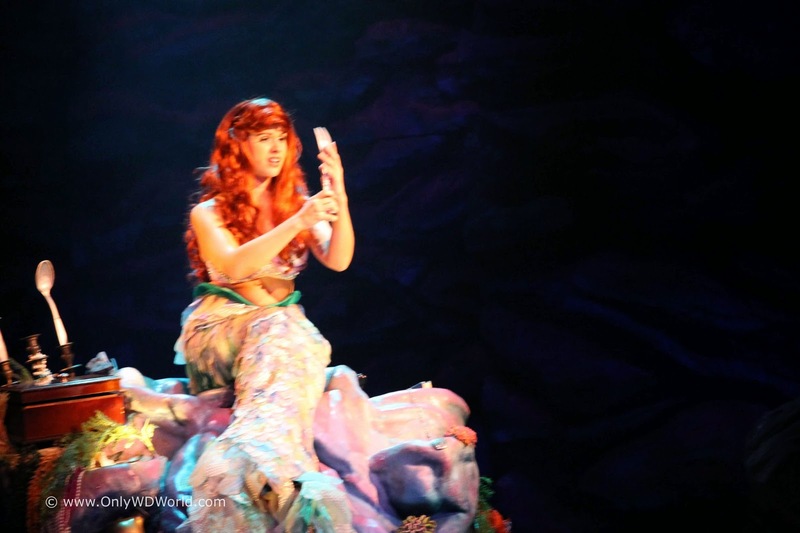 Ariel is played by a live actress that sings the classic songs from the film. 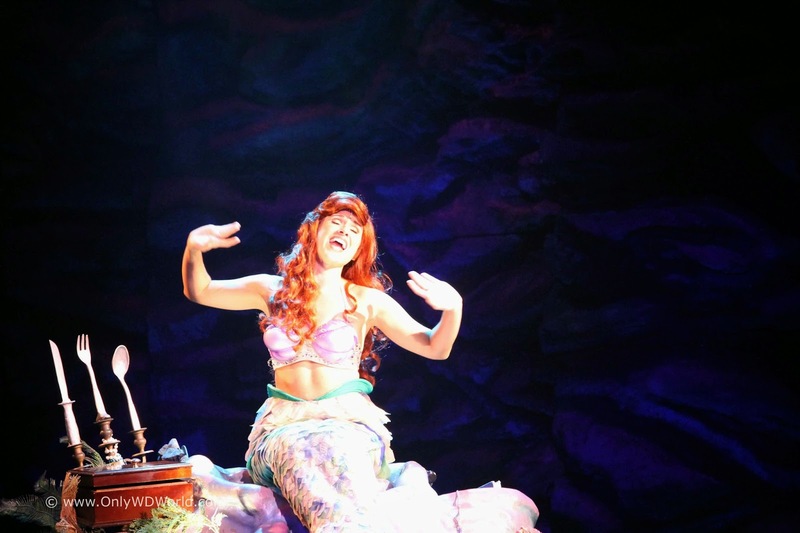 Ariel actually sings live during every performance, making this one of the special parts of this performance. 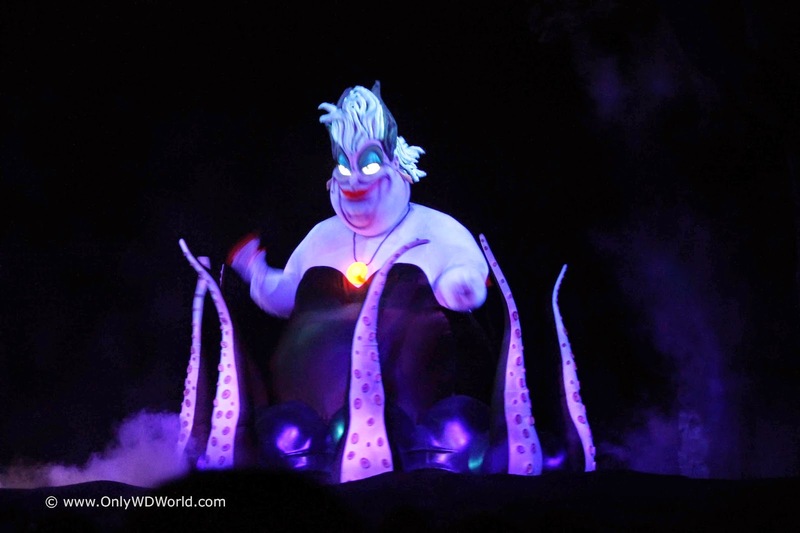 Ariel also deals with a huge Ursula that is 12 feet tall and 10 feet wide. 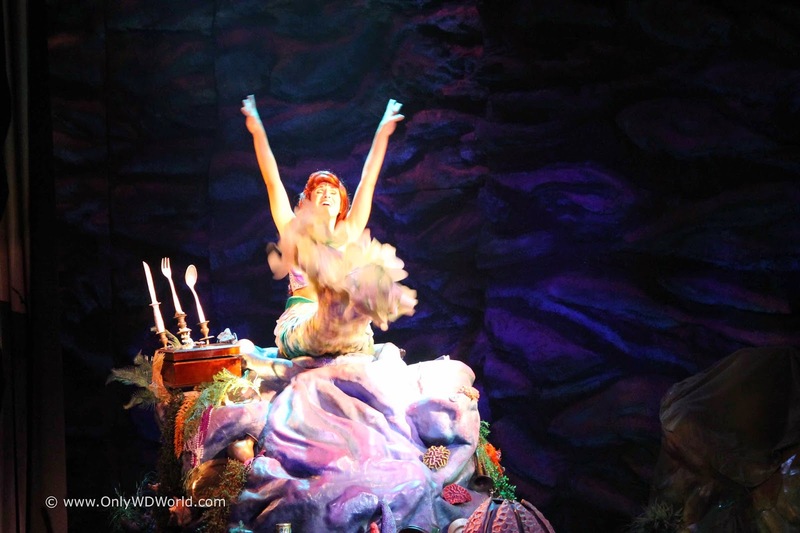 This animatronic character looks amazing as she moves across the stage. 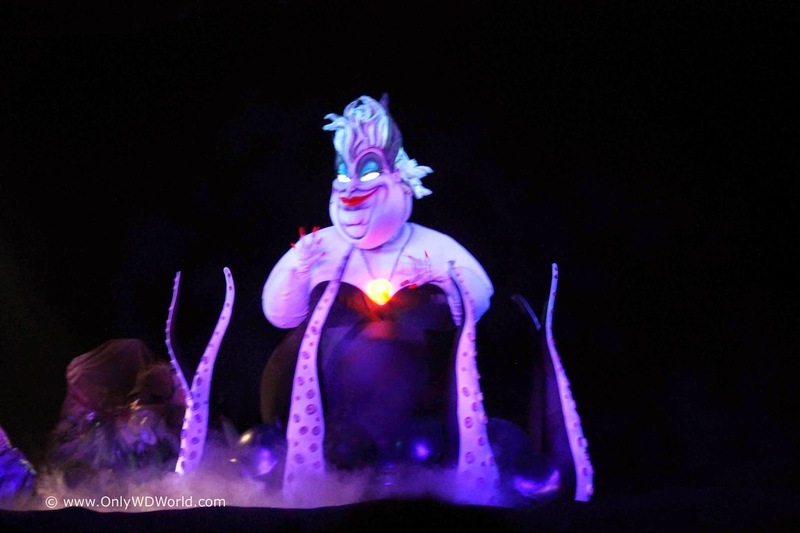 Ariel is not scared away by Ursula and in the end, like most Disney stories, there is a happy ending. 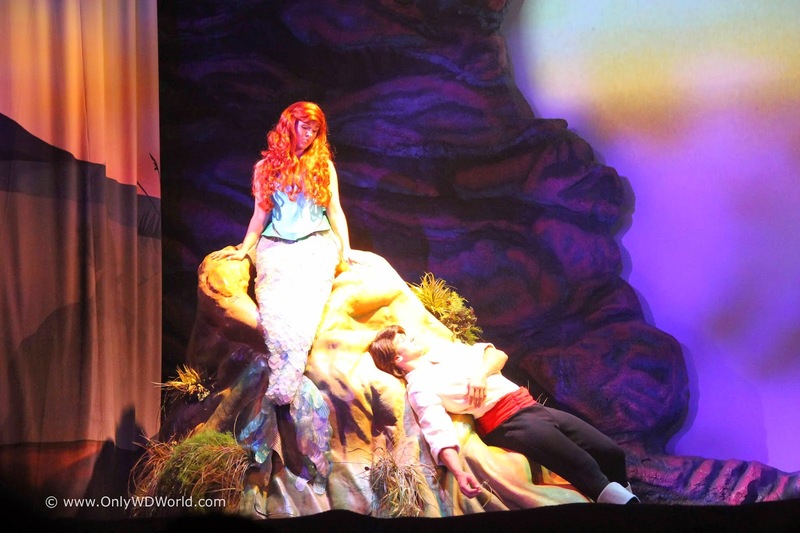 Ariel is reunited with Prince Eric on a beach and is transformed into her human form. The Voyage of the Little Mermaid show is absolutely one of the best at Disney World. 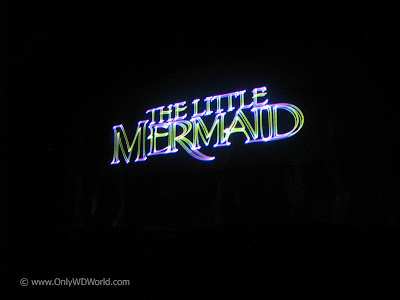 The combination of multiple forms of media: Film Clips, Puppetry, Audio-Animatronic Characters, Live Singing Actors, lasers, and rain/water effects, takes the audience under the sea and into the realm of Ariel and the memorable characters from the film. 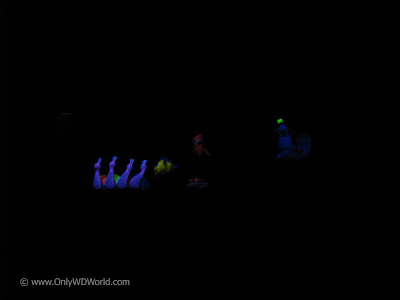 This should be a definitely Must Do attraction for all ages when visiting Disney's Hollywood Studios! 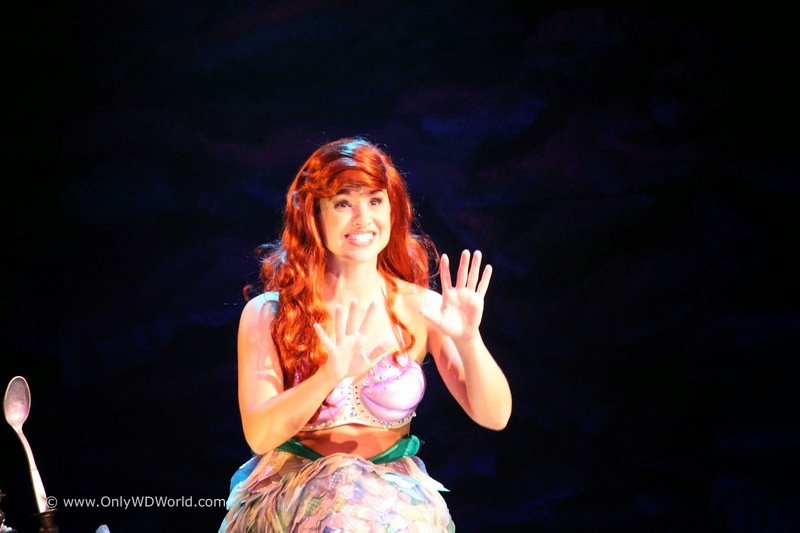 0 comments to "Disney World Favorite: Voyage Of The Little Mermaid"